FMSCI Rally Racing 2016: The Federation of Motor Sports Clubs of India (FMSCI) is the only national motor sport federation recognised by the Government of India for the promotion and control of motor sport in India, and is affiliated to the prestigious Indian Olympic Association. Over the years, it has involved leading business corporates like JK Tyres, MRF, Indian Oil Corporation, ITC, the UB Group, McDowell, Birla Tyres, Popular Automobiles, Ceat Tyres, AVT, Goodyear, Maruti, TVS, Escorts Yamaha, Hero Honda, actively in motorsport, which has benefited the sport immensely. 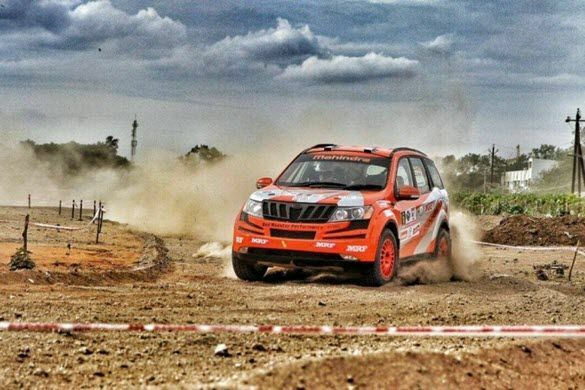 Check out the complete details of FMSCI Rally Racing 2016 2W, 4W Calendar PDF, Full Schedule, Date, Time & How to Participate in FMSCI Rally India 2016 from the below article. This year FMSCI Rally started from June and will go on until December 2016. And will be conducted on different cities across India i.e. Kohima, Bangalore, Chennai, Coimbatore, Cochin, Hyderabad, Goa, Noida, Jaipur, Mumbai, Srinagar, J&K, Nashik, Vizag, Indore, Kolkata, Durgapur, Gurgaon, Delhi, Shimla, Pune, Ahmedabad, Chikmagalur, Arunachal. 1. Decide which category of motorsports you are interested in. Is it two wheelers or four wheelers. 2. Decide which type of event you are interested in. There are various types of motorsport events in both 2 wheelers and 4 wheelers. 2 Wheelers : Road Racing (Circuit Racing), Drag Racing, Supercross, Dirt Track, Hill Climb, Rally etc. 4 Wheelers : Karting (GoKart), Racing, Rally, Drag Racing, Drifting, Hill Climbs, Gymkhana, Autocross etc. 3. Having decided which type of event, it’s now time to get your FMSCI Competition License. Please note that there are various competition licenses for various types of events. Any person who is above 18 years must have a Civil Driving License (RTO license) before he applies for any license. Visit www.fmsci.co.in >>>Forms and select the respective license application form, download the same, fill it up and send it to the FMSCI. Please read the instructions page carefully and ensure that you are eligible for that license and attach all necessary enclosures. After applying, you can check the status of your license in www.fmsci.in/license. While the physical license may take some time to reach you by courier, the confirmed license number on the above website would suffice to take part in events. 4. You now have your license. You must then decide which event you want to take part in. The Calendar of event section on the front page of the FMSCI website lists the various events that are organized in the Country under the aegis of the FMSCI. 5. Select the event you want to take part in, contact the organizers of the event or visit their website and get the Supplementary Regulations (SRs) and Entry form for the event. Read the SRs carefully and fill in the entry form, send it to the organizers with relevant enclosures and fees. Keep in touch with the organizers. The motorsporting events are organized by member clubs of the FMSCI (visit www.fmsci.co.in >>> home >>> member clubs for their contact details). 6. There are some events wherein the vehicle is provided for by the organizers / manufacturers / teams. This applies generally for Circuit Racing only and for Formula Cars and one make events like Volkswagen Polo, Toyoto Etios Motor Racing, Honda, TVS, Yamaha and the like. 7. In all other cases you need to prepare and bring your own vehicle. How do you prepare the vehicle ? The Supplementary Regulations will contain details of Groups / Classes of vehicles that are allowed to take part in that event. Vehicles are normally divided based on the cubic capacity and the extent of modification allowed. For example in 2 wheelers you have Group D, Group C, Group B and Group A ; similarly in cars you have Group N, Group T1, Group T2, Group A etc. There are also special groups like Indian Junior Touring Car, Indian Touring Car, Super Stock etc. 8. All the Sporting and Technical Regulations for these classes are available in the FMSCI website under ‘Regulations’ menu. You may get the assistance of the organizers of the event on how to hire a Formula Car from the teams for an event or advise of the Tuners for your vehicles. 8. All the Sporting and Technical Regulations for these classes are available in the FMSCI website under ‘Regulations’ menu. You may get the assistance of the organizers of the event on how to hire a Formula Car from the teams for an event or advise of the Tuners for your vehicles. Hope you bro’s, You can like this FMSCI Rally Racing 2016 2W, 4W Calendar, Schedule PDF & How To Participate and FAQ’s article. If you like this, Then please share it to your friends who are eagerly waiting to perform these type of events. If you have any doubts. Please let me know via comments. How To Download Prisma Photo Editor App For Android.